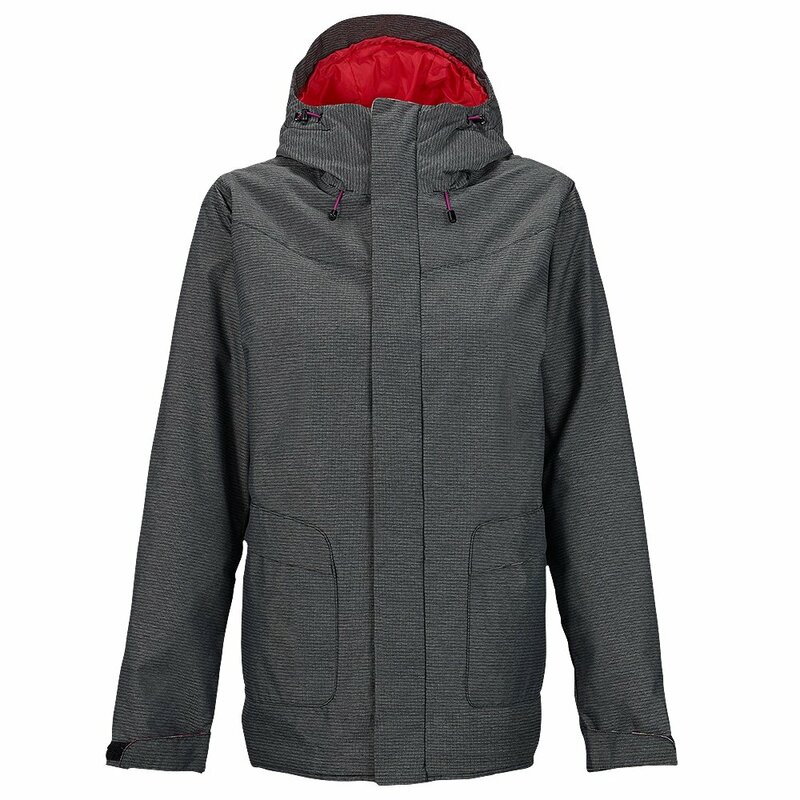 The Burton Cadence Women's Insulated Snowboard Jacket's has all of the snowboard-specific features you need for a comfy day on the slopes: glove loops so you don't lose a glove when you’re adjusting bindings, a headphone port, and tons of pockets for all of your stuff. The Cadence also features Burton's Jacket-to-Pant interface, which connects the jacket to your Burton pant, so you can take a tumble or two without icy snow drifting up your jacket. This ski jacket also comes in a fun pixelated pattern, that looks like a floral design if you squint ever so slightly. This colorful and very unique pattern is just one of the many things that make the Cadence so supremely awesome. Center back measures 30 ½ "
The jacket looked nice and very functional as another Burton jacket that I have. The size is true. I like the long length of this jacket.